Home > Travel guide > What do you know about Ha Giang? You may have heard about Ha Giang as Dong Van rocky plateau global geological park, Hoang Su Phi with soaring terraced fields or the legendary Ma Pi Leng pass. That's just the surface of Ha Giang tourism, if you have the opportunity to explore in depth this land, I am sure you will be surprised about the results you have. Ha Giang is a mountainous province in the northeast region of Vietnam in which the Vietnam-China border extends more than 274km long, impresses visitors with its high karst plateau, steep hills, winding roads and ethnic diversity. Ha Giang is quite a new city with only 120 years of history. Like any other Northern highlands of Vietnam, the climate here is cool in the summer and extremely cold in the winter which ones may see snow. 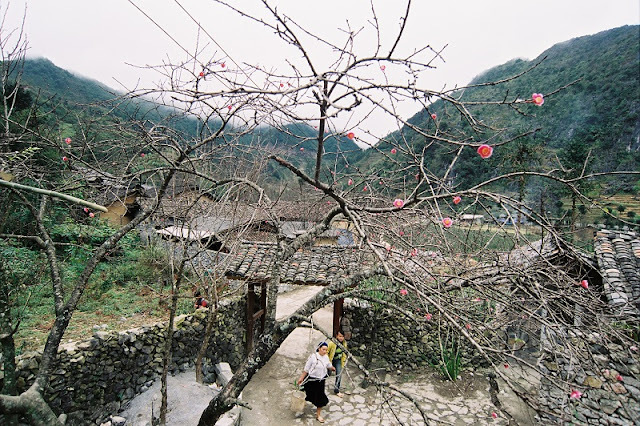 The temperature of Ha Giang ranges from 5 – 28 Celcius degree, which is pretty ideal for tourism. Ha Giang province has all 10 districts included Bac Quang, Quang Binh, Xin Man, Hoang Su Phi, Vi Xuyen, Quan Ba, Yen Minh, Dong Van, Meo Vac, Bac Me and 1 city (Ha Giang city) and consists of various ethnic minorities (Chechens, Tay, Hmong, Dao, Nung, Cao Lan, Hoa, Lo Lo, etc). They can be distinguished by their clothing. Dry season (from October to April) is the best time to travel to Ha Giang. From October to December, you will admire the beauty of the famous flower of this land - triangle flower circuit. Or you can enjoy the coldness and snow in December and January. At this time, the travelers can certainly get the complete flavor of the scenic beauty. The scenery is quite pleasant and serene which relaxes your mind and soul. The magnificent mountain tops that are hidden behind the clouds and the fragrance of the wild peach flowers will influence and soothe your senses. 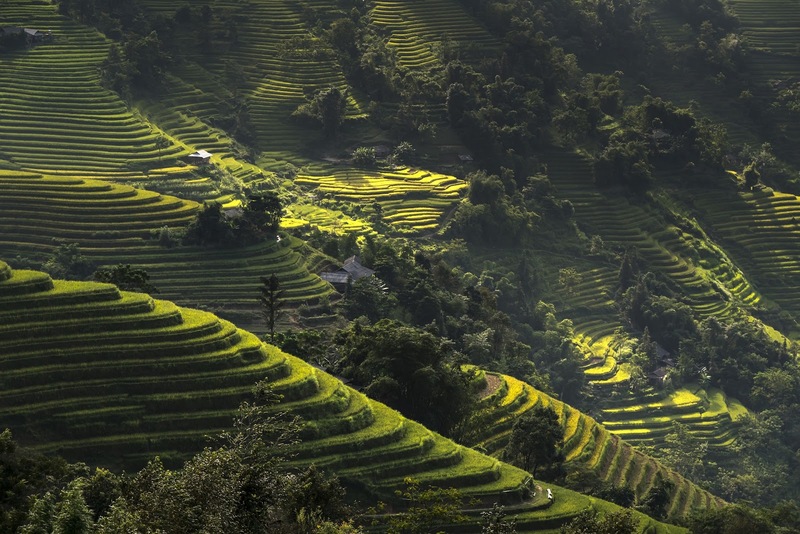 Like Sapa, the most renowned attraction of Ha Giang are the many grandiose mountains. Although mountains here are not as high as Sapa’s mountains and seem not to be steep enough to challenge adventurous climbers, they stand out for extensive area of limestone with unique formation of peaky rocks. • Ma Pi Leng Pass: The road is quite difficult but a stop in this pass will have a panoramic overview of the province. Scenery in Ma Pi Leng pass is unique with majestic and wild beauty. Looking to the north and northeast, thousands of gray mountains concatenate to the horizon. 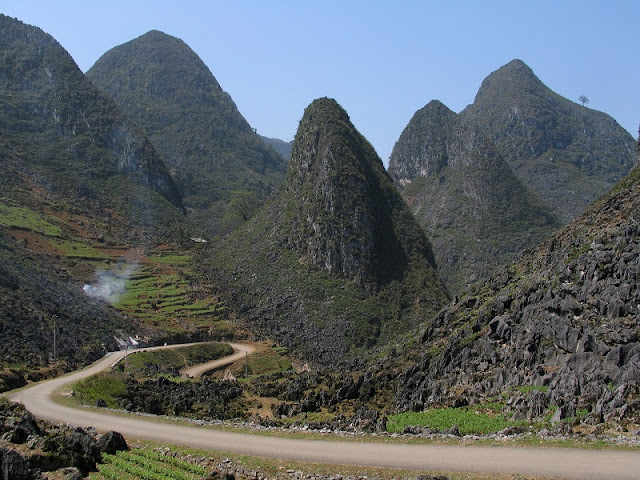 Over the Ma Pi Leng, there has a mountain with 2.000 meters height located on the 'Happiness' road connecting Ha Giang, Dong Van and Meo Vac town. • Quan Ba Heaven Gate: about 1,500m above sea level , this is the entrance of Dong Van Plateau. The road to Quan Ba Heaven gate is winding, twisty crossing limestone mountains. From the top of the Heaven Gate, you could look down across a large valley of unending terraced fields, displaying a charming beauty like a paradise dimly visible through the clouds. • Dong Van Plateau: Situated north of Ha Giang, near the Sino-Vietnamese border, this plateau is covered by karst mountains. Dong Van is an ideal place for trekking and mountain climbing, where grandiose mountains may challenge your spirit for real. In return, breathtaking landscapes, meetings with local ethnic minorities and learn from their life’s stories are nowhere can be found in the world. • Rice terrace of Hoang Su Phi: an upland district of Ha Giang Province, it takes around 100km by bus from the center of Ha Giang to Hoang Su Phi. recognized as National Heritage in 2012, Hoang Su Phi terraced rice fields is an ideal destination for sightseeing as well as photographers. • Hmong King Palace: located in Xa Phin Village of Dong Van District, which is around 24km away from the district’s centre. With an area of 1120 m2, this edifice was built in the early twentieth century in the form of the letter 王 (meaning "king" in English). This is not only a historical relic but also a fabulous architectural landmark of local ethnic groups. This edifice is also a destination always interested many visitors. • Lung Cu Flag Tower: Built on the top of Dragon mountain, in the district of Dong Van and modeled on the flag tower of Hanoi. Plug in the 12.9m flagstaff is a national flag with an area of 54m², representing for 54 ethnic groups of Viet Nam. At the foot tower, there is a commemorative house, where displays production tools, costumes and cultural products of the ethnic groups in Ha Giang. The staircase that leads to the summit has 389 stone steps but to reach the top of the tower, you must also climb a spiral iron staircase of 140 steps. • Pho Bang Village: peaceful and calm town, which is 117 km from Ha Giang city, Pho Bang Village is the home of Hoa and Mong ethnicities. The houses here embrace the traditional architecture. They have wooden columns and mud walls. • Dong Van Old Town: located in the middle of valley surrounded by rocks. The quarter is formed form the early 20th century, only has a few families of the H’mong, Tay and Chinese, gradually, more and more other local residents find it. The oldest house is the house of Luong family built since 1860. The common architecture here is the two-story house and yin and yang roofs. The lifestyle and daily life of ethnic people such as: Kinh, Tay, Mong, Hoa... is very impressive. • Meo Vac Town: lies snugly in a smallish valley surrounded by rocky mountain. The journey here along the spectacular Mai Pi Leng Pass, about twenty kilometers from Dong Van, is the main attraction. There are different ethnic minorities groups living in Meo Vac including the H’mong, the Kinh, Tay, Dao, etc. Most ethnic groups have maintained their culture untouched from the outside world. • Markets: The markets of Ha Giang, such as market Quan Ba, Yen Minh and particularly the Khau Vai love attracts many visitors. The Dong Van market is held every Sunday. On sale are local products made by Mong, Han, Dao, Giay and Tay ethnic people. To reach the market on time they have to leave their homes very early in the morning or even one day earlier. The Khau Vai Love Market is held only on the 26th and 27th of day of the third Lunar month. In there, both single and married people in different ethnic groups can come to find ones’ ideal life-partner and sharing their feeling and understanding to each other. • Yen Minh - Dong Van pass: Ideally would be to spend a night in Yen Minh to break the journey. There are motels and a few hotels there,a morning market with minorities, a blue nice motel near the market too with reasonables prices. Set off to Dong Van early in the morning (around 7-8am) and prepare your camera because the journey is fascinating: misty silent hills, windy roads with gorgeous high mountains and a few villages in the valleys. You can also get closer to the border checkpoint and see the old style houses which even have some Chinese writings on it. 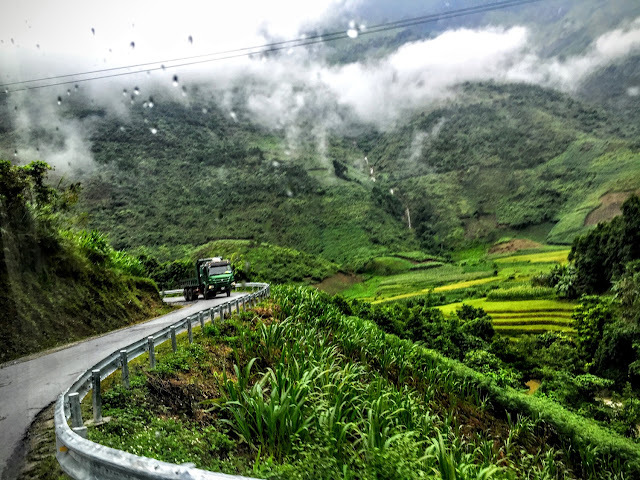 Some information about the terrain, weather conditions or highlights will be extremely useful information to you to a perfect trip plan for yourself in Ha Giang. If you need more detailed information, do not hesitate to let us know, we are always ready to answer all your questions about Ha Giang tourism information in particular and travel Vietnam in general. Connect with us at: http://vietnamtypicaltours.com/contact-us/ . Thank you so much!